There is no question that some health benefits are derived from the regular use of coffee – and along with those benefits come a number of unpleasant side effects, especially if sugar or cream is added to the equation, and even more so if a pastry is consumed with it as well. I understand that such indulgences are high on many people’s list of favorite pastimes, my own included at one point, but years of trial and error have helped me to dissect the coffee habit rituals to the nth degree and discuss its upsides and downsides with some precision. Bitter herbs help the body both detoxify the blood and digest fat. There is a direct relationship between bitter herbs (like coffee) with the emulsification (digestion) of oils and fats. I believe this is the main reason for the positive influence of coffee during many clinical tests. Why? Because our diets are typically high in oils and fats (largely in the unhealthful trans-fat arena), and bitter herbs naturally stimulate the production of bile fluids from the liver responsible for the emulsification (digestion) of fats. Bile is also a depository for toxins being filtered from the blood by the liver. Bile is used by the liver to encapsulate impurities (heavy metals, chemicals, bacteria, viruses, parasites, etc.) from our blood, thereby isolating them from reabsorption as the bile fluids move through the digestive tract and out of the body. Bile fluids also help us to break down our fats/oils prior to entering the bloodstream. Undigested oils in the bloodstream acidify and thicken the blood, thereby reducing insulin’s ability to lower high sugar levels (insulin resistance). High sugar levels in the blood set off a cascade of health-lowering effects beginning with an increase in fungal/yeast overgrowth (which underlies most health problems). 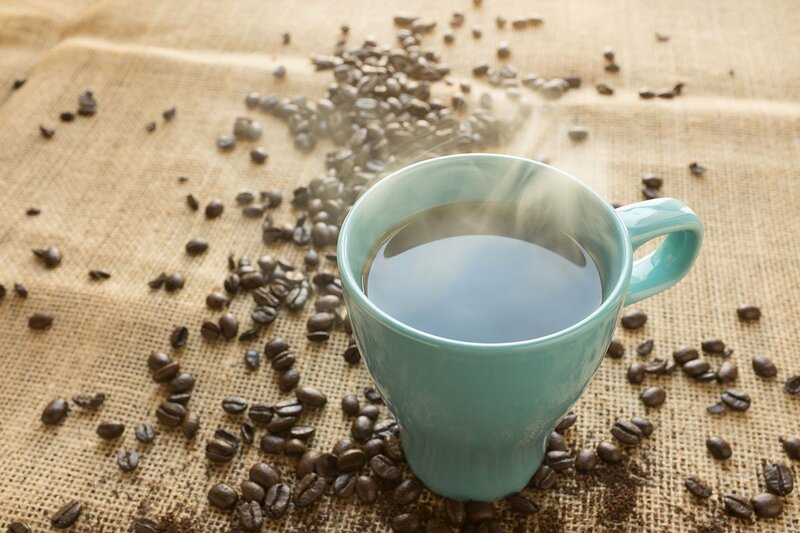 It is the presence of undigested fats and excessive pollutants in the bloodstream that are largely responsible for many conditions for which coffee is touted as being beneficial. However, my experience has proven to me that these same benefits can also be derived, yet in a more powerful way, from the use of other bitter herbs and spices, such as turmeric, ginger, fennel, cardamom, Trifala (Amalaki, Bibitaki, Haritaki), yarrow, aloe vera, boldo, chamomile, cinnamon, coriander, cumin, milk thistle, dandelion, parsley, gentian, andrographitis (the King of Bitters) and numerous others, most of which can be found in our Enzymes For Life. Only drink organic coffee (non-organic coffee is one of the most heavily pesticide-treated foods in the world). Drink your coffee black (sugar and cream drastically reduce any health benefits of a bitter herb). Cinnamon and nutmeg are optional flavoring choices. Greek coffee uses Cardamon, which offsets coffee’s harm to the spleen). Avoid the use of nondairy creamers due to the number of harmful ingredients in them. Cream or Half & Half tend to increase sinus congestion, and thus snoring during sleep. Grind your own coffee bean (pre ground beans can become rancid quickly). Use the dark roast beans over the light roast (seems to have greater health benefits). Note: This one is questionable since light roast beans contain higher amounts of active palmitic acids which enhance the production of glutathione S-transferase (GST). GST is an important agent in the reduction of carcinogens, possibly lending to coffee’s benefits during various studies and the main reason why coffee enemas are promoted for detoxification purposes. absorb any residual toxins or chemicals in the coffee bean. The greatest detriment to drinking coffee is over-stimulation of the adrenals and the nervous system! Over-stimulation not only exhausts these important aspects of human physiology, it also causes a depletion of the foundational energy reserves of the body. Coffee is not the only vice in our society that depletes the valuable overall balance. Sugar, tobacco, alcohol, chemicals, radiation, black & green teas, guarana (a caffeinated herb), processed foods devoid of minerals and other nutrients, recreational drugs, a stressful job or home life, various perceptions leading to fear, anger, worry, etc., and the stress of living a self-serving lifestyle, all deprive us of balance. It is worth noting here that the true health advantages derived from consuming coffee is for its bitter effects, detoxification of carcinogens and fat digestion. Coffee can be better replaced by our Enzymes for Life formula with far greater benefits. Enzymes for Life contains both bitter herbs for improved bile activity (with its attendant laxative effects) and digestive spices (which provide nutrients to the pancreas needed to produce over 3,000 different kinds of digestive enzymes), eliminating the need for the more debilitating ox bile and digestive enzyme supplements. For the stimulating effect most people reach to coffee for, your basic energy reserves can be built up over time without coffee by taking our Daily Mind and Body Booster package (Food for Thought, Enzymes for Life, and Ideal Immunity). These formulas build natural energy reserves gradually over time. As opposed to coffee’s stimulant effect followed by the 2 hour drop, the above formulas build balance reserves gradually as they nourish your entire endocrine (hormone producing) system back to health. They also provide you with 3-5 hours of calm, sustained energy throughout the day. Granted, they may not satisfy that desire for the morning indulgence with that appealing coffee taste, but the long-term benefits are far more desirable. and a greater sense of general well being.